In the 1920s, there was a candy bar called Chicken Dinner. Not making this up. 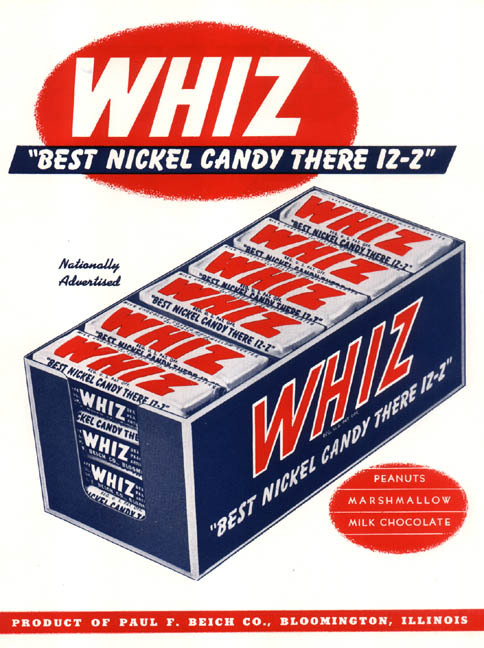 Popular in the '30s and '40s, this candy bar included a mix of peanuts, marshmallow, and fudge covered in milk chocolate. Pearson's Candy Company put out these oddly-named bars during the Great Depression, the name being a reference to Hoover's presidential campaign slogan, "A chicken in every pot." The bar did not contain chicken — it was a nut roll covered in chocolate. 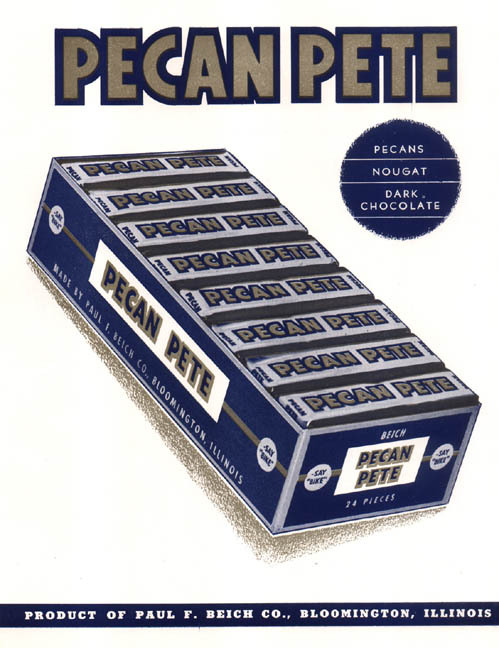 A choice for candy lovers of the 1940s, Pecan Pete bars included clusters of pecans stuffed in with nougat and covered in bittersweet dark chocolate. These 1940s candies varied in flavor from box to box — think lemon drops, jelly beans, candy corn, or candy cherries. 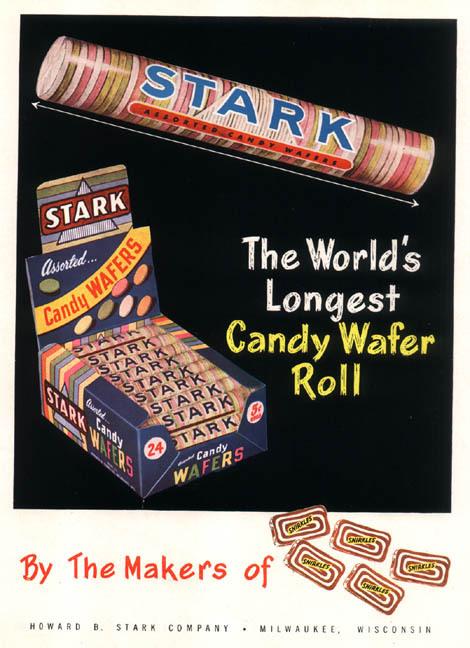 These 1940s sweets are actually still around today! 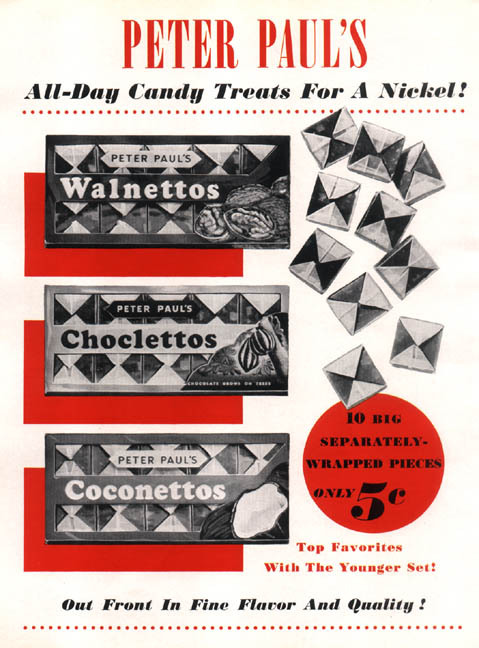 They're walnut, chocolate, or coconut-flavored chews. A 1930s snack produced by the Hollywood Candy Co., these bars came in three different flavors. 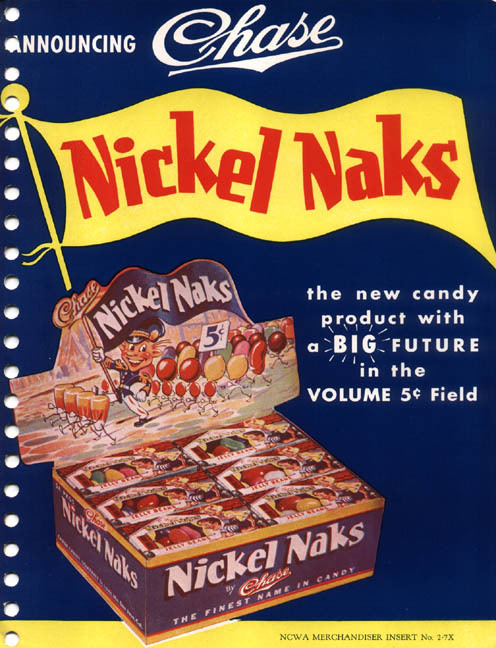 Manufactured by the same folks who make Bit-O-Honey, Old Nick featured a roll of fudge and nuts covered in milk chocolate. No surprise here — these are now manufactured by Necco. These caramel and nougat swirl chews were introduced in the 1920s. They're still around, but are now called Slap Stix. 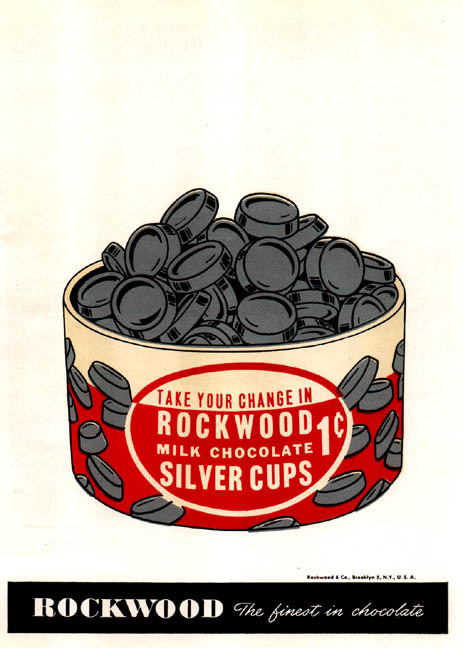 From the 1940s, these bite-sized milk chocolate treats were packaged in silver foil. 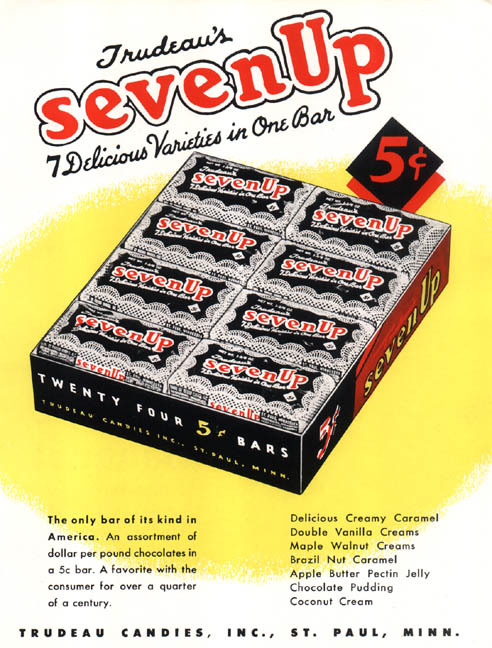 Around in the 1930s, Seven Up bars featured connected bits, each with a different flavor. Eventually, the soft drink, 7-Up, bought the candy bar so they could have rights to the name. 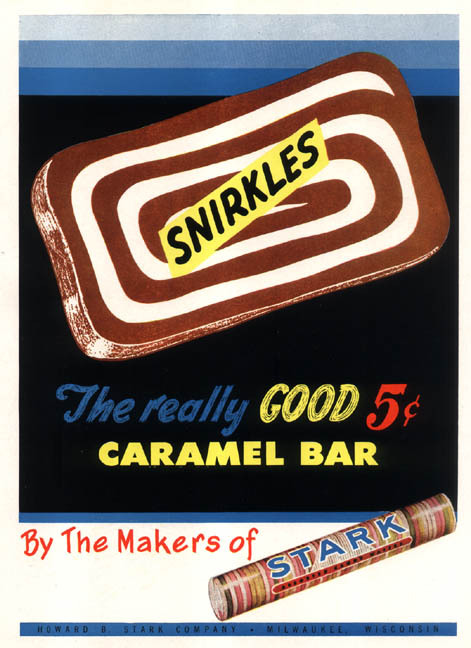 Introduced in 1927, this bar tasted similar to a Milky Way. 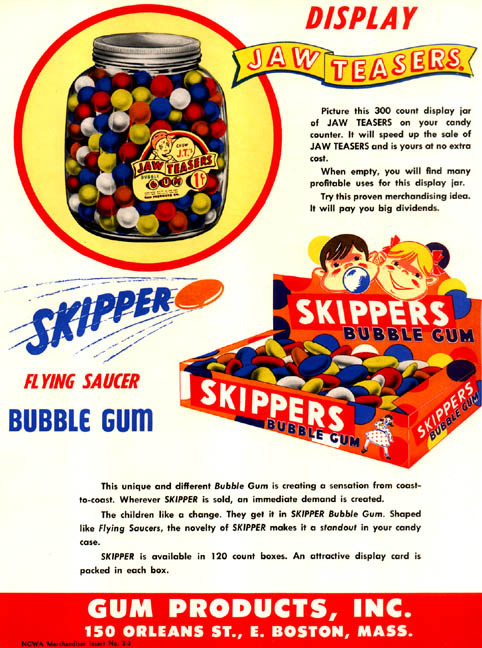 These novelty chewing gums of the 1940s tried to lure kids in with fancy colors. On the market in 1917, the Lunch Bar's slogan was "Lots of milk, smooth as silk, eat one every day." Eek. This 1930s snack must have been hard to quit because the combination of maple and walnuts sounds heavenly.